Take a look a look at this project we recently assisted with. Located in Kiama, 30 minutes south of Wollongong. This project boasts incredible views of the east coast of New South Wales. With plans to make some changes the existing lot our friends from Black Bird Design got in contact and requested some 3d renders of their future project. 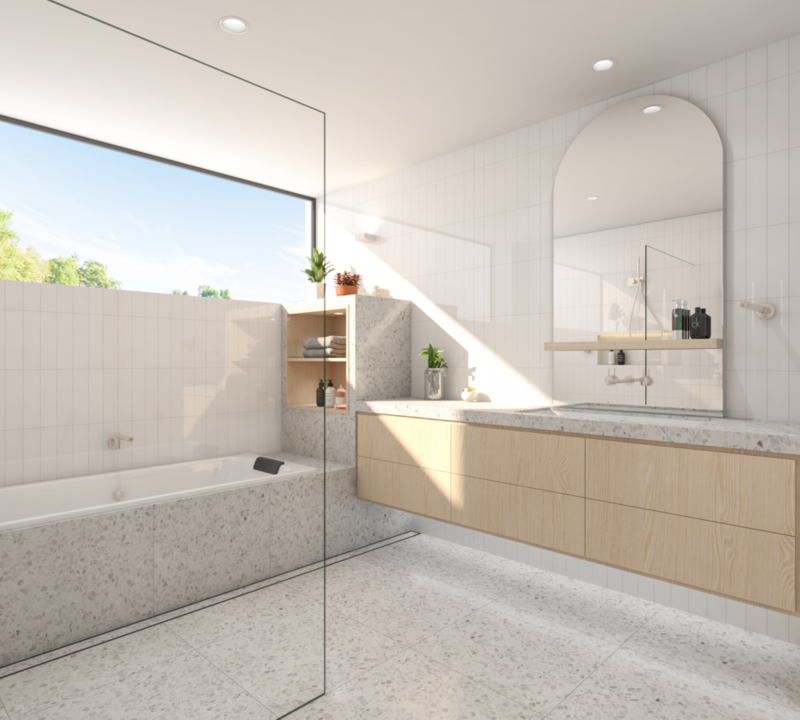 We provided them with several 3D Inerior Renders that showcase the Kitchen, Main bathroom & En-suite. 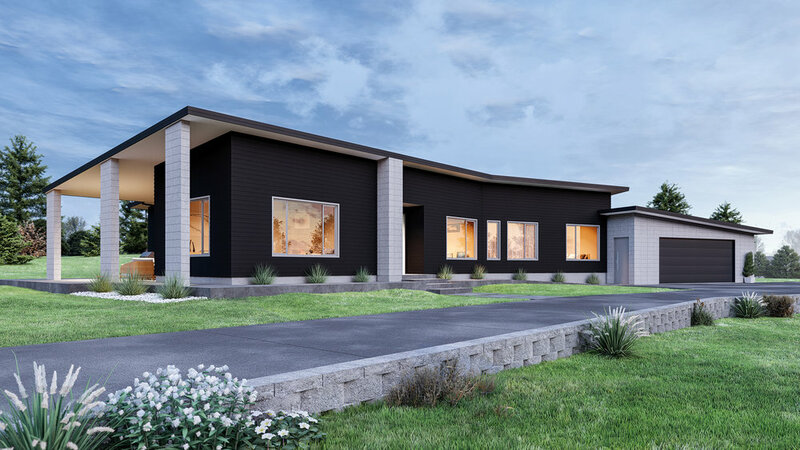 To get detailed insight into their future project and how it would look with the surrounding environment, we provided our clients with 3D Exterior renders of the new home. As can be seen above we created an exterior render in High-Dusk Definition looking at the project from the driveway. Additionally we provided both the front and back facade in High Definition. With the goal to completely reinvigorate the lot our friends at Creative Constructions & Design plan to give the existing home a new look by removing the garage area and really opening the surrounding space. Further more, they plan to create a declined level around the home that creates an open yet slightly private outdoor area. In providing their clients the best possible insight into their future homes Creative Constructions & Design got in contact and requested two 3D Exterior Renders that showcase the front and side facade. We really enjoyed working on this project and loved the amount our clients were able to fit into a such a small space.